The London Foodie: London Cooking Club - "An Evening of Portuguese Food & Wines"
London Cooking Club - "An Evening of Portuguese Food & Wines"
Back in September, Dr G and I went to Porto for a week's holiday. Staying with friends who own a villa there, I thought this the perfect moment to bring them a copy of Tessa Kiros' cookbook "Piri Piri Starfish - Portugal Found" and for me, a golden opportunity to try out some of the recipes using the local produce. It was a magnificent week of cooking and eating amongst friends with plenty of Vinho Verde, the freshest/tastiest produce, seafood, chorizo, and bacalhau. What a great week that was, and luckily most recipes turned out well. Inspired by this, I decided to hold a London Cooking Club based on the same cookery book a few weeks later. On this occasion, we were fortunate to have the generous offer of a supply of matching Portuguese wines from Casa Leal. Our drinking experience in Northern Portugal was a revelation to us - excellent value wines made interesting by the relatively undiscovered national grapes which are still widely used today. With the exception of the light and easy drinking Vinho Verde, these wines were generally full-bodied, hot climate examples with plenty of fruit and character. Miguel Leal, a London-based importer of premium Portuguese wines, was unable to attend the event but still very kindly offered to provide all the wines for the evening. 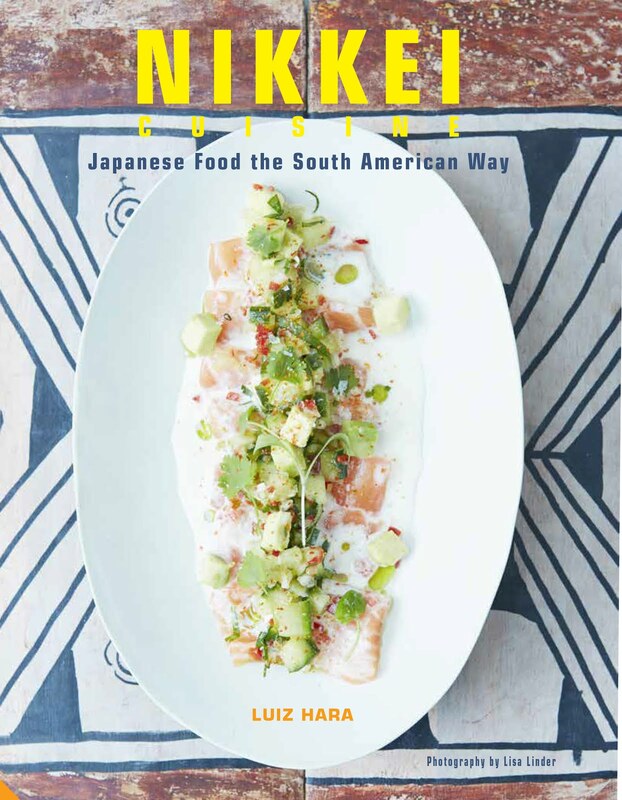 Every month, I choose a theme, cookery book or cuisine, and have a group of readers of The London Foodie come to my home to cook, eat a delicious meal, drink and talk. I distribute a suggested menu a week or so prior to the event, the participants choose their dishes and I e-mail out all recipes. Each person contributes a dish and accompanying bottle of wine. I thoroughly enjoy these evenings as they are proving to be a great way to meet others who stumble upon this blog and who are passionate about cooking and good wine. As much as I like eating out and finding some of the London gems I write about, I also love cooking and this was primarily the reason why I started The London Foodie. All recipes cooked on the evening were taken from Tessa Kiros' cookbook "Piri Piri Starfish - Portugal Found"
"Croquetes de Bacalhau" (Salt Cod Croquettes) - one of my favourite Portuguese snacks, I made these from a mixture of shredded and rehydrated cod (de-salted for 24 hours), potatoes, shallots and coriander. A little fiddly to make but well worth the effort. The croquettes were served with an 09 Vinho Verde from Quinta de Linhares. As with most Vinho Verde wines, this was made to drink young (Verde), it had hints of fresh citric fruit (sweet lemon) and honey flavours, enough residual sugar to balance the high acidity, and went well with our choice of fish canapé. "Caldo Verde" - prepared by the lovely Helen of Fuss Free Flavours, Caldo Verde is Portugal's national soup, it is a hearty and rustic soup made from potatoes, green cabbage (or more commonly spring greens or kale) and chorizo sausage. "Polvo à Moda de Açores" (Octopus from Azores) - octopus dishes are much loved in Portugal, and like squid, it must either be flash-fried or slowly cooked to avoid toughness. This recipe, cooked by Peruvian Jaime founder of Guestaurant, was delicious - the octopus was melting in the mouth having been cooked in a mixture of white wine, brandy, garlic, oregano and cloves for well over an hour and served with fried yam. To drink, we had "Arca Nova Vinho Verde Doc Rose Escolha 2009". Espadeiro is a red Portuguese wine grape planted primarily in the Minho region for making vinho verde. The most famous vinho verdes are white but this was a great rosé, tasting, crisp and dry with hints of strawberry. "Camarão com Piri Piri, Whisky e Limão" (Prawns with Piri Piri Sauce, Whisky and Lemon) - this was a lovely dish prepared by May of Slow Food Kitchen and Tamar, an Israeli journalist who was in London for a month's course at the Cordon Bleu. The prawns are fried in butter, bay leaves, garlic, piri piri and paprika. The pan is then de-glazed with whisky and lemon and the reduced sauce poured over the prawns. It was served with bread to mop up the delicious sauce. 2008 Alvarinho & Loureiro by Morgado do Perdigao (Silver Decanter World Wine Awards 09). This was a very impressive Vinho Regional white from the northern coastal area of Minho, made from a blend of Alvarinho and Loureiro grapes. The nose was delicately scented with citrus and floral notes while the palate was well structured, with stone fruit (apricot) and good body. This was an excellent wine to accompany the garlicky and rather spicy fried prawns. "Bacalhau com Tomates, Pimentão e Azeitonas" - (Salt Cod with Tomatoes, Peppers and Olives) - a Portuguese meal would not be complete without a "Bacalhau" dish. A bit fiddly to prepare, I was happy when my foodie friends Regis and Tim offered to cook this for us. The salt cod was perfectly rehydrated/de-salted and baked on a bed of fried peppers, olives, tomatoes and potatoes. It had a lovely texture and Mediterranean flavours. To accompany the meaty salt cod in rich tomato sauce, we decided to try the red Corpus 2007 Douro. Produced by Veredas do Douro, this wine made from a blend of native red grapes had youthful black fruit flavours, with plentiful balancing tannin and vanilla notes - a very well made wine. "Porco com Ameijoas" (Pork with Clams) - this is one of my favourite Portuguese dishes but is also one that people seem hesitant to try. The combination of pork and seafood is wonderful and it was not a difficult decision when choosing which dish Dr G and I would cook for the evening's menu. Pork shoulder is marinated in a "massa de pimentos" (cured/salted red peppers paste) and then slowly cooked in wine, onions and garlic. In the last ten minutes of cooking, clams are added with some lemon juice and green olives, and just before serving, potato cubes fried in olive until crisp are tossed in to create the finished dish. A sumptuously rich and delicious treat I cannot wait to try again. 2006 Pontval Vinho Regional Alentejano Syrah. Despite Syrah not being an indigenous grape to Portugal, this example had intense aromas of mature fruit, with hints of mint, pepper and cedar. The palate was full and spicy with fine tannins and acidity which stood up well to the rich pork and clam dish. "Favas com Chorizo & Arroz Assado na Manteiga" (Broad Bean with Chorizo and Baked Butter Rice) - Marta of Muscovado Cafe cooked these two delicious dishes which accompanied the two main courses. "Gelado de Frutas Citricas, Louro e Canela com Ginginha" (Citric Fruits, Bay Leaf and Cinnamon Ice Cream with Portuguese Sour Cherry Liqueur) - I loved the combination of unusual flavours in this ice cream prepared by Sue of London Food Finds. Bay Leaf ice cream is not a flavour I have tried before but it tasted intriguingly good served with "Ginginha" and Sue's homemade Madeleines. To complement Sue's ice cream, we had "Tawny Port by Casa de Santa Eufemia". Blended from the traditional combination of Touriga Nacional, Touriga Franca and Tinta Roriz, it underwent deliberate oxidation leading to an orange tinged wine with fragrances of dried red fruits while in the mouth dry figs, nuts and raisins blend in delicious combination. 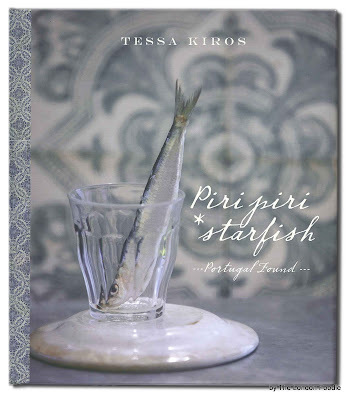 Our shared opinion of Tessa Kiros' Portuguese cookbook was very good overall. However we felt that the text layout was not as reader friendly as it could have been. Moreover some of her cooking instructions seemed odd, for example de-salting the cod for 3 days (far too long), or skinning tomatoes with a sharp knife rather than immersing them in boiling water and rubbing gently. Thank you all for attending the event and for cooking such marvellous dishes and to Casa Leal for providing us with the excellent matching Portuguese wines. 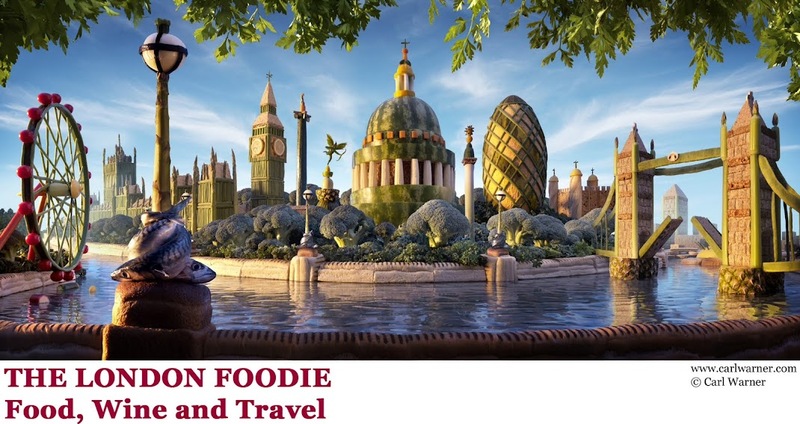 For more information on future events and themes, please see the London Cooking Club page on this blog. Hi Luiz - it sounds a bit like our foodie dinner parties, but I know everyone who is invited. You have given me the idea to invite some blogger friends, even though we haven't met in person. That would really be fun to cook with foodie strangers, get to know some other cooks and learn something new! The menu here sounded amazing! Wishing you a happy healthy delicious new year. P.S. If I were in London I would beg you to invite me to your cooking club dinners. Noooooo, how did I miss this?! I am in love with all things Portuguese at the moment and that pork and clams is probably my favourite dish of all time!! We were in Portugal for Christmas and all I want to do is go back :( Fab pictures!